MDR Figaro mostly broadcasts Classical music , sophisticated pop, jazz, folk,book readings, discussions, reviews and may comments form the world of culture.It is on air on the frequency of 107.8 FM.Its main aim is to promoting cultural music in the country.Its genres are Culture, Classical and station located in Schierke, Germany. MDR 1 Sachsen Anhalt is a a Central German station for Saxony and its main studio is located in regional Dresden in the Broadcasting Center.There are more then 190 people which works in the station and regional program of the MDR television programs daily in Saxony.Mainly it plays Hit and Oldies.Its genres is News & Community located in Schierke, Germany. Radio Siegen 88.2 is with the the social groups and organizations which are organized and established for community organizers assembled local station.This local station wins for the district of Siegen-Wittgenstein .Its genres is Adult Contemporary broadcasts in German language at NRW Network.It is located in Siegen, Germany.For calling purpose you can contact on 0271-23 222-30. Radio Erft is a local station for the Rhine-Erft and it was established on November 1992.It the time of broadcasting it was not much popular in community but later on it gain popularity in the community and now at this time it broadcasts 8 hours daily local programs. This includes the Morning show “Erft in the morning”, which will be sent 6-10 clock, and the afternoon programs.Its genres is Adult Contemporary. Welcome to your local station Bonn Rhein Sieg with current latest events , News , Comedy , Theater and many more entertaining programs broadcasting on genres Adult Contemporary, Entertainment & Media in German language.It is located in Bonn, Nordrhein-Westfalen, Germany.i hope you should like its live transmission.Visit official website for more information. Radio 700 is a top station in Euskirchen.Its music focus on the popular songs and popular music that is popular in German community.Like other stations its programs includes the daily recurring items.There are special programs that run mostly on weekends or evenings. 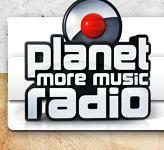 Planet More Music is one of the popular station of Germany , Every day you can listen best music including , pop , rock , house , dance , hip hop.Enjoy 24/7 Hrs non stop music.Its Genres is Euro Hits , programs broadcasting in German language.The location is Limburg an der Lahn, Germany. Koeln Campus is a famous station of the universities in Cologne.It broadcasts a mix of jazz over hip-hop , rock and pop hits.Listen live education programs with a strong higher education is marked, especially in the two daily magazine programs “early rush” and “Nachdurst”.Funding is largely through the students and universities.Some programs sponsored by companies. DW Deutsch actually promoting the Germany’s role in the world and broadcasting latest information including interviews, analysis , reports , news across the country and all issues that are of Germany, Europe and the world. It broadcasts news and information on shortwave, Internet and satellite radio in 30 languages ​​.It has also satellite television service that is available in four languages​​.Its genres are International & News. Domradio is basically an ecclesiastical station in the Federal Republic of Germany.You can listen variety of programs consists of features , documentaries and mostly of magazines.Its Genres are Religious & Religion-Spirituality broadcasting in German language.It is located in Koeln, Nordrhein-Westfalen, Germany.